Load balance mode (Both DHCP servers are active and the load is shared among the two). Hot standby mode (One of the DHCP servers is active and the other is passive. When active goes down, passive takes over and becomes active). 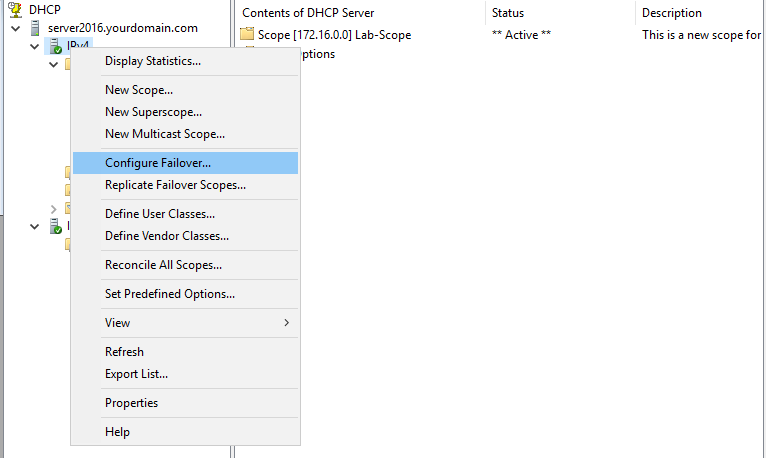 An active DHCP scope on which you want to configure failover. 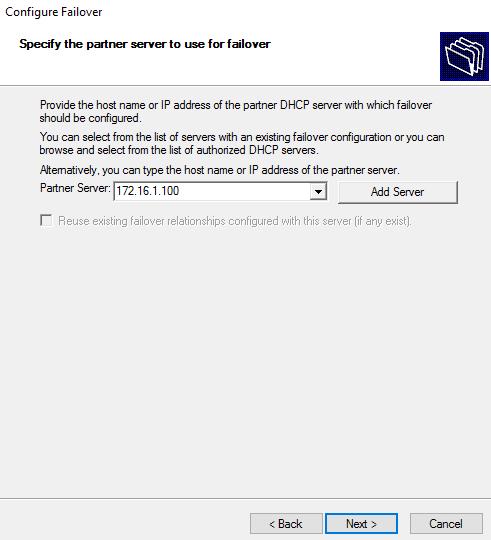 A running partner DHCP server. Step 1. Open DHCP management console. 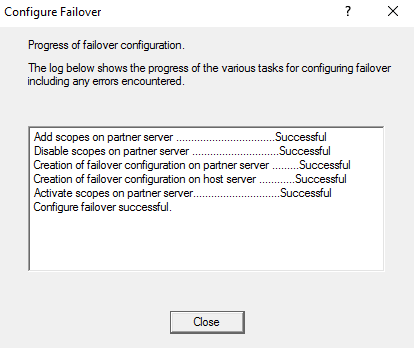 Right-click IPv4 and click "Configure Failover..."
Step 2. 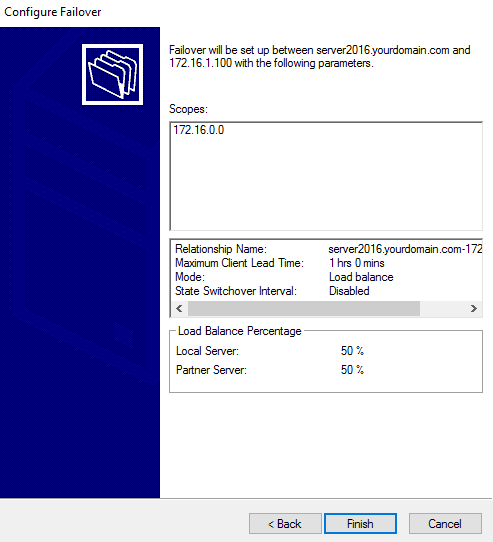 Choose the scope you want to configure for failover and click Next. Step 3. 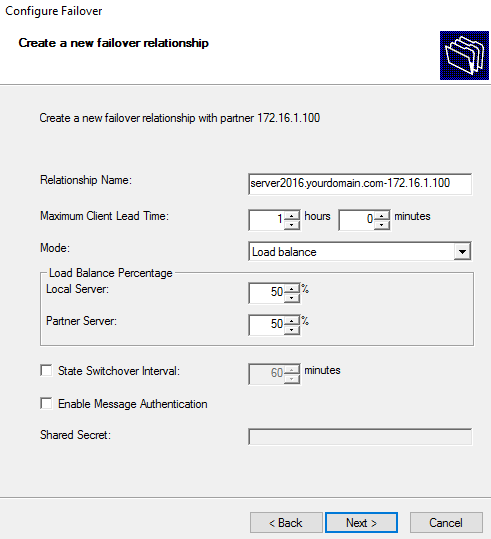 Add an IP address of the partner server and click Next. Step 4. Choose the mode (I am choosing Load balance for this tutorial). Keep other options at their defaults. 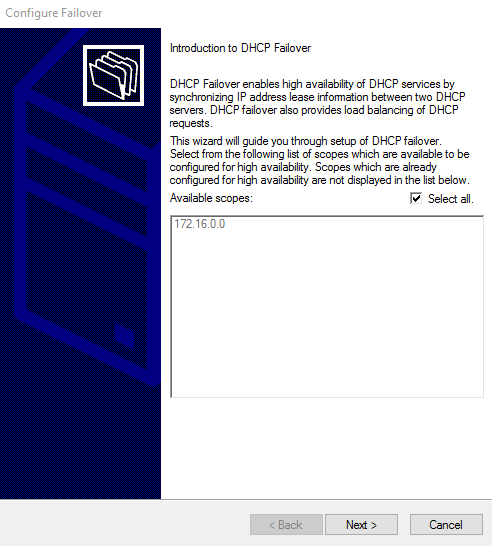 A DHCP failover with the partner server on Windows 2016 has been configured successfully.